Our cantina serves authentic Mexican food with a modern touch using key ingredients all imported from Mexico. Like the Luchador's our beverage menu combines traditional margarita's & tequila's but will be famous for its flamboyant and outrageous mixology. Throughout the night crowds will be entertained by Luchador's Live band, resident Dj and interactive service. Before you know it you will be on your feet dancing the night away! 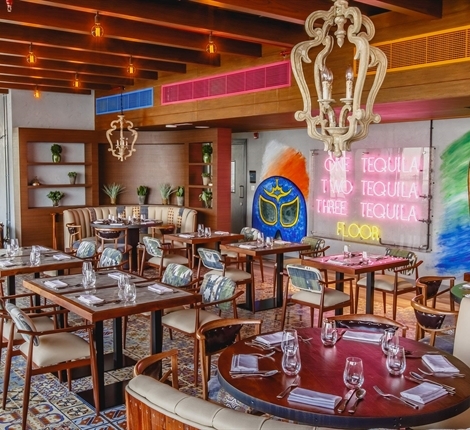 Authentic Mexican roof cantina and lounge, Luchador welcomes on board Rene Alejandro Manzanilla Velaas Head Chef of the newly opened venue, located within Aloft Palm Jumeirah. In his role as Chef de cuisine, Rene will focus on overseeing all the operations within the Luchador kitchen, from concept to creation. This includes responsibility for developing menus that showcase the Mexican cuisine in the best manner, introducing diners to unique flavour combinations that entice the palette, and the entire food operation that contributes to enhancing the authentic Luchador experience. The Mexican culinary veteran has amassed over a decade of experience in the field, having received his Bachelor's Degree in Gastronomy over the course of three years, followed by numerous posts in various kitchens worldwide. Chef Rene has been in the employ of renowned names across the city, including Grosvenor House and Le Royal Meridian Hotel & Spa, taking on multiple responsibilities. 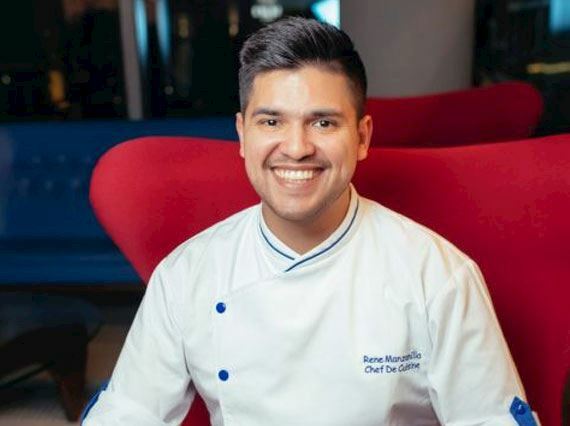 He is no stranger to taking the lead when it comes to preparing flavourful Mexican fare, fulfilling roles as Chef de Cuisine and Head Chef at Habtoor City's ZoCo Cocina y Cocteles and Fuego Mexican Contemporary, respectively.